Trans Am, America’s oldest professional road racing series, dates back to 1966. The championship was successful for many years but in 2005 the series stopped. There were two major primary reasons that organizers ended the Trans Am championship - automotive manufacturers were no longer supporting the series and there was a lack of interest among the competitors. The championship was revived in 2009 with sponsorship from Muscle Milk a company owned by former series champion Gregg Pickett. To keep costs down and encourage amateur racers to participate the cars were prepared using the Sports Car Club of America’s GT1 rules. The 2009 season consisted of seven rounds - opening in March at Road Atlanta and ending at Road America. 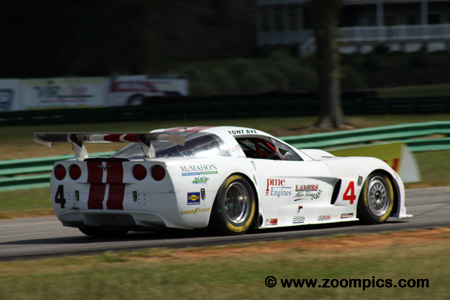 The 2010 Trans Am season started at New Jersey Motorsports Park in May. It was followed by Mosport, Miller Motorsports Park, Road America, Lime Rock Park, Toronto, Autobahn Country Club, Brainerd International Raceway, Virginia International Raceway and the season finale at Road Atlanta. 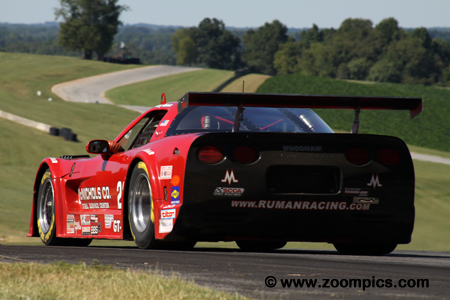 Virginia International Raceway (VIR) hosted round nine of the 2010 Trans Am championship. Participation had been poor throughout the season – from a high of nineteen cars at Road America to a low of just five entrants at Lime Rock. Most events had car counts in the single digits. 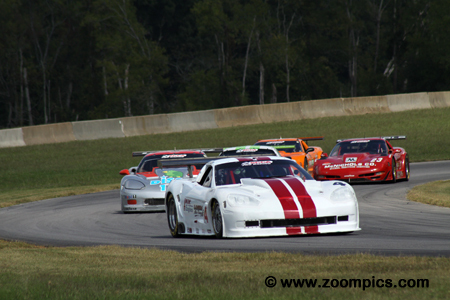 VIR was no exception as only nine drivers started the race. Competitors would race around the eighteen-turn 3.270-mile road course for twenty-eight laps. With qualifying rained out the grid was determined by the Driver point standings. Pole-sitter and points leader Tony Ave leads a slim field of nine starters into corner three on the first lap. Behind Ave is the Chevrolet Corvette of R.J. Lopez. Trailing Lopez is Tomy Drissi in a Jaguar. 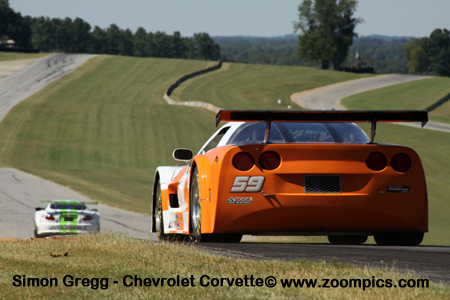 Fifth and seventh place starters – Bobby Sak and Amy Ruman in Corvettes are battling for fourth place. Entering the penultimate round of the season, R.J. Lopez had a mathematical chance of taking the championship. Lopez trailed, point’s leader, Tony Ave by 137-points. At VIR, Lopez started beside Ave in the No. 6 Corvette. From the drop of the green flag, he shadowed Ave and made contact while taking the lead on the final lap. Although Lopez won, his pass was deemed unsafe and he was penalized but still had an opportunity to win the title at Road Atlanta. Tony Ave led the points chase for most of the season. If Ave’s point lead was more than 139 points than the next competitor after the VIR event, he would secure the 2010 Trans Am title. It appeared feasible, driving the No. 4 Chevrolet Corvette he started on the pole. Ave was on target to take the title until the last lap when he was passed in turn fourteen by R.J. Lopez. The two made contact and Ave spun, finishing second – 2.713-seconds behind the winner. Driving the No. 00 Pinnacle Autosports Chevrolet Corvette was Doug Harrington. Earlier in the season Harrington entered the Road America event and finished fourteenth. At Virginia International Raceway, he worked his way from eighth on the grid to challenge Amy Ruman for third. With four laps remaining in the contest, Ruman retired with a mechanical issue and Harrington inherited the final spot on the podium. 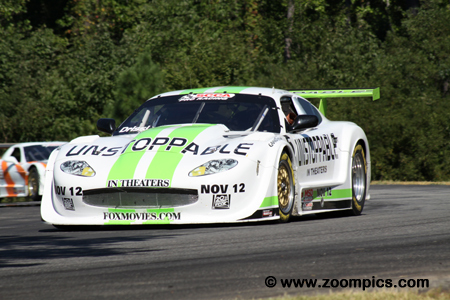 2009 Trans Am series champion Tomy Drissi qualified the Rocket Sports Racing prepared Jaguar XKR third. Drissi won the opening round at New Jersey Motorsports Park but his results since then had been mixed – a pole at Toronto, second place finishes at Brainerd, Lime Rock and Miller but his record also included a pair of eighths at Mosport and Road America. At VIR, he finished sixth which ended his hopes of winning the championship. 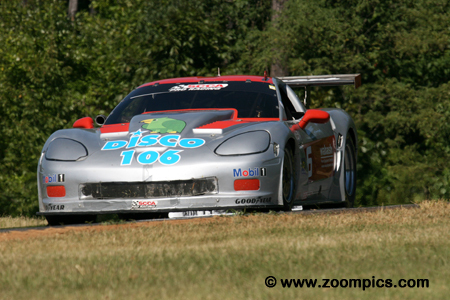 Last weekend’s event at Brainerd was the first time since 2003 that Bobby Sak had competed in a Trans Am event. At Virginia International Raceway, Sak was gridded seventh for the start of the twenty-eight lap contest. Sak moved up the race order and had settled into fifth place when Amy Ruman retired. As a result of Ruman’s misfortune, he finished fourth. Driving the No. 59 Derhaag Motorsports Chevrolet Corvette was Trans Am regular Simon Gregg. 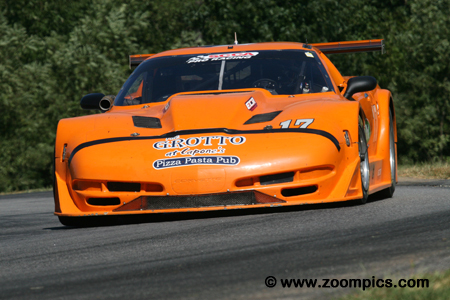 Gregg was fourth in the driver standings as the result of third place finishes at Lime Rock and Brainerd. His points earned to date gave him the fourth position on the starting grid. During the race, Gregg lost places to Doug Harrington and Bobby Sak – he was fifth at the checkered flag. 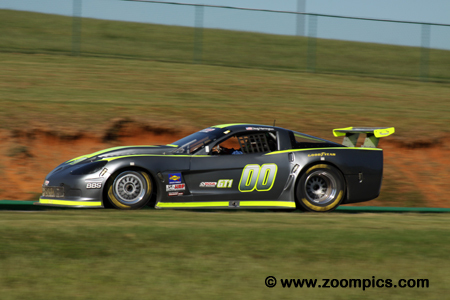 Amy Ruman drove the McNichols/Cenweld sponsored Chevrolet Corvette. Ruman skipped the previous round at Brainerd but was still fifth in the point standings. She finished on the podium in her last three events and was hoping to keep her streak alive. It was looking good for Ruman as she was in third with four laps remaining. Unfortunately, on lap-24 Ruman retired when the car developed a mechanical issue.